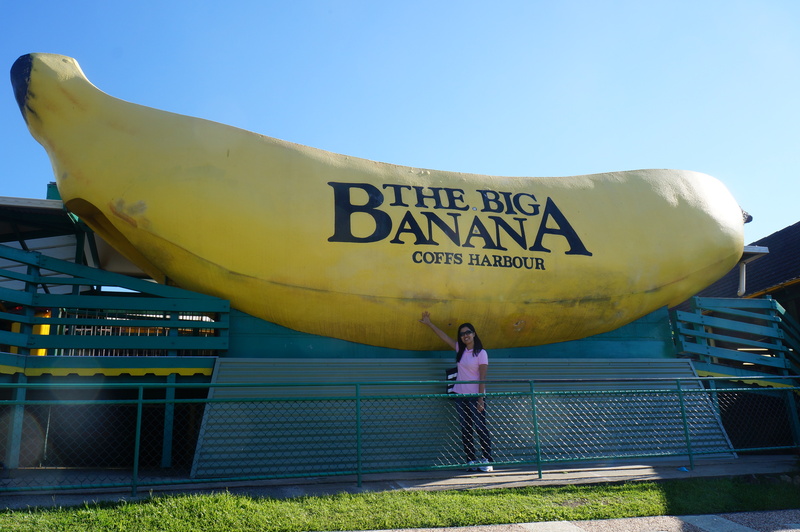 I recently went for a road trip to Coffs Harbour with the extended family. While searching for places to go on our long weekend, I decided on Coffs Harbour simply because I hadn’t been there. Accommodations were slightly more affordable than other more ‘touristy’ places (e.g. : Byron Bay, Noosa) as well. The drive took about 4 ½ hours in total and it was definitely my longest road trip (just beat Bundaberg by about 15 minutes). The journey was mostly surrounded by bushland. There wasn’t as much coastal view as I expected. I made sure we didn’t miss the town’s icon which was the Big Banana. It’s just off the Pacific Highway and hard to miss. The unexpected highlight was The Clog Barn. We went at the right time when they were doing a clog making demonstration. It was interesting to see how machinery has improved the speed of clog manufacture from one pair per day to less than a ½ hour. The owner gave away the clog that was made during the demonstration to the furthest travelled visitor and we just marginally missed it as the other couple from Brisbane lived slightly further away. 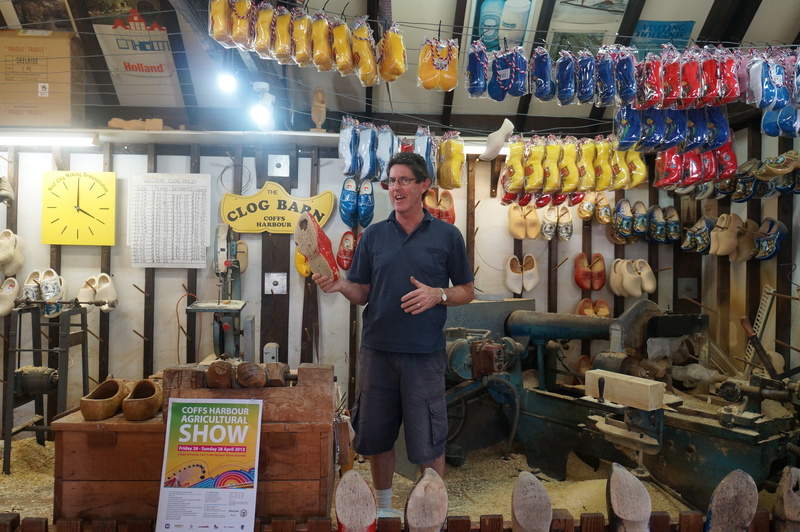 However, since they had purchased a few pairs of clogs already, they kindly offered to give us the demo clog. I was thrilled and now own a single clog which I am yet to decide what to do with. 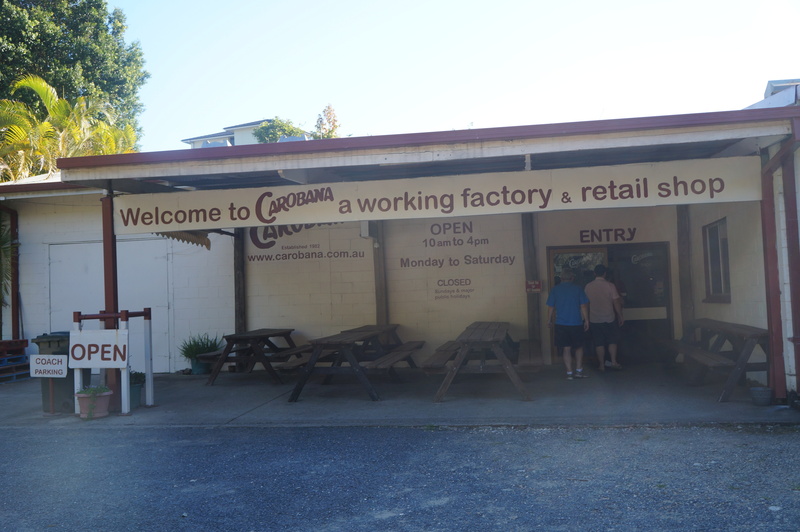 The Carobana Chocolate Factory was a bit of a letdown. It was simply an old building with a range of containers of chocolates for testing and packets of chocolates for sale. I have never heard of carob before this, so it was an educational visit for me. Apparently carob is a alternative for cocoa bean in chocolate. It has a slightly different taste, containing less fat but more sugar than chocolate – I wonder which is really healthier? In addition to the icons of Coffs Harbour, we did get to enjoy some beautiful sights as well.